The Department of Public Works and Cherry Hill Office of Emergency Management are preparing for a winter storm that could bring as much as 5 to 9 inches of snow to our area on Thursday morning, Feb. 9. The National Weather Service has issued a Winter Storm Warning from 4 a.m. to 4 p.m. Thursday, but the heaviest snow is expected to fall during the morning rush. Strong wind gusts, poor visibility and hazardous road conditions are expected. If you can stay home and off the roads during the storm, please do. Limiting travel during and immediately after snowfall will allow road crews and emergency responders to work quickly and effectively, and greatly reduces the potential for accidents. Please park vehicles in the driveways and off the street. If you must park on-street, please try to limit parking to one side of the street only, to allow better access for snow plows. Keep trash and recycling bins, basketball nets and other impediments out of the road. If you are scheduled for Thursday trash collection, please leave your cans at the curb line, but out of the street. Any weather-related road restrictions, closings and cancellations will be updated on the Township website and social media pages as soon as the information becomes available. Links to those sites can be found below. The Cherry Hill Department of Recreation has cancelled low-impact aerobics, senior line dancing and ceramics classes scheduled in the Carman Tilelli Community Center, as well as the Uncovering Your Family History Class at Croft Farm. As always, call 9-1-1 to report an emergency. Power outages must be reported directly to PSE&G at (800) 436-7734. • Be sure to shovel around your mailbox and fire hydrants near your house for your safety and your neighbors&apos; safety. 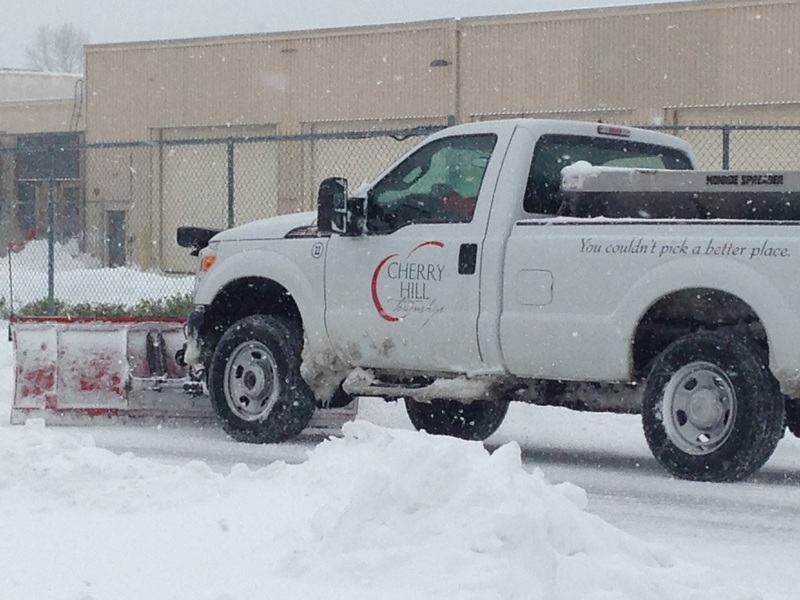 Camden County offers a snow-removal service for seniors when snow totals more than 4 inches. Click here for information on that program. When snowfall stops, it can take an additional eight hours to complete the snow-removal operation. Public Works employees will be working continuously to provide the best possible service to residents, and to ensure roads are cleared as quickly and safely as possible. Click here for a list of roads that are maintained by Camden County or the New Jersey Department of Transportation. The Township&apos;s Swift911 Emergency Notification System will keep you up-to-date on the latest storm updates and other important information as it becomes available. To enroll, visit www.CherryHill-NJ.com/Swift911. Be sure to download the Swift911 Public App to have alerts delivered to your mobile device. Text Swift911 to 99538 to receive a download link. The app is available for iOS, Android and Windows phones. In the event of a power outage, it is critical that residents report the outage directly to the utility company, to ensure a faster response by PSE&G. • The Cherry Hill School District posts news about school closings and delays and other important information at www.chclc.org, as well the district’s Facebook page and Twitter feed (@ChpsTweets).